Baineann na paistí óga an-taitneamh as seachtain sabháilteachta ar na bóithre. 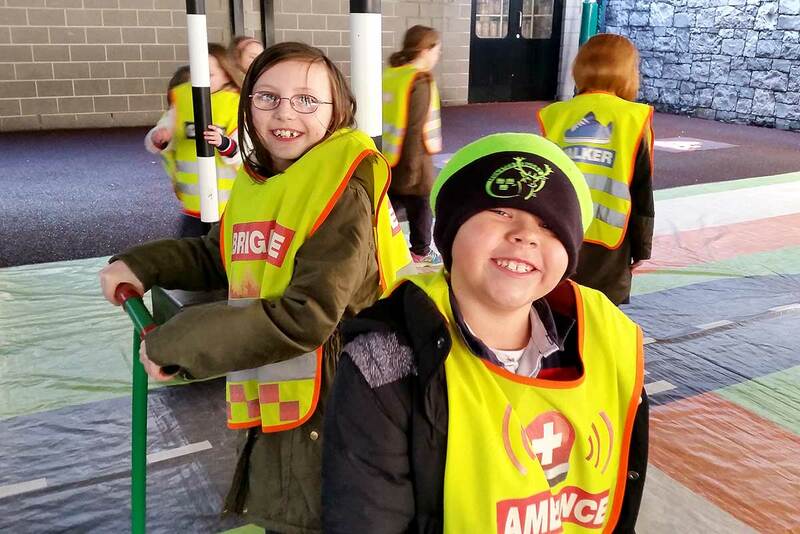 Baineann R. S. A. leas as léarscáil idirghníomhach chun na scileanna a mhúineadh i slí taitneamhach. 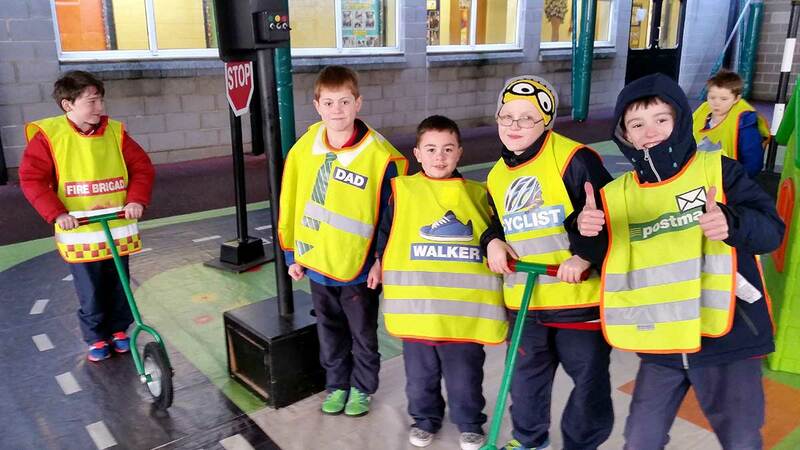 Irish Road Safety Week is always an active and engaging week for the junior cycle children. 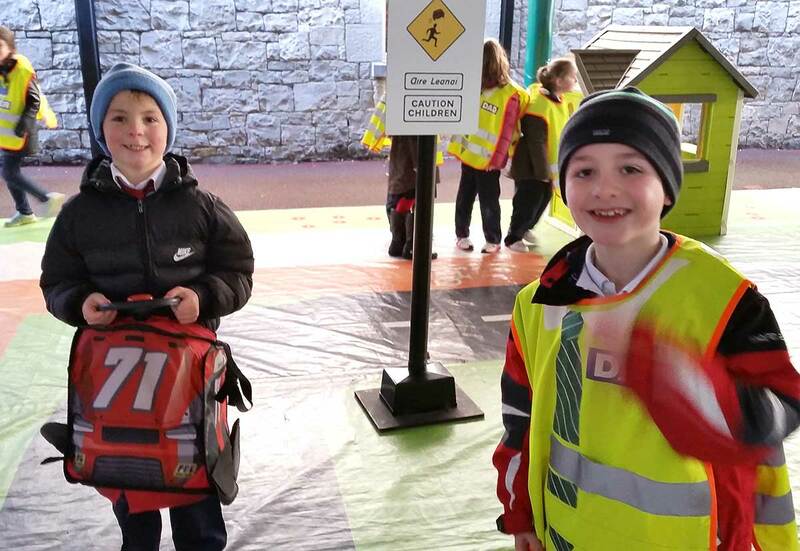 The Road Safety Authority (RSA) annual ‘StreetSmart’ campaign, held during the first term of school, brings road safety to life in a fun way using a ‘streetscape’ map, children wander the street scene as different characters from everyday life and learn more about important road safety skills.